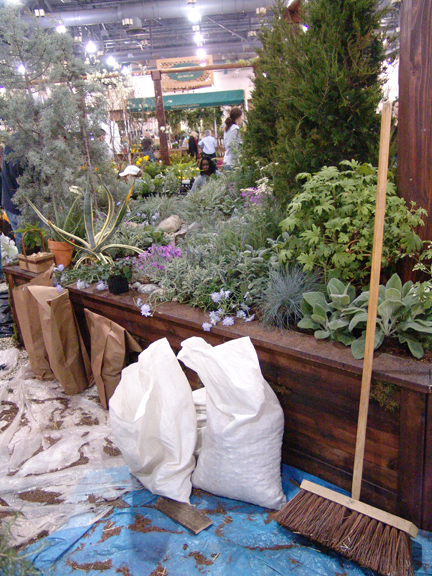 Their exhibit featured several green gardening concepts including a living wall, rain chain, and rain barrels. Their plant material included Swiss chard, fresh radishes, and various fresh herbs. Their design was inspired by 16th century Italian gardens with adaption to the local and vernacular flavors and sustainable living. As a result of their efforts, judges awarded the display Special Achievement Awards-Garden Club Federation of PA Conservation-under 1,000 square feet. I appreciated the use of the rain barrels in the exhibit. They demonstrated how rain barrels can not only be useful in the garden but can also be decorative and attractive. 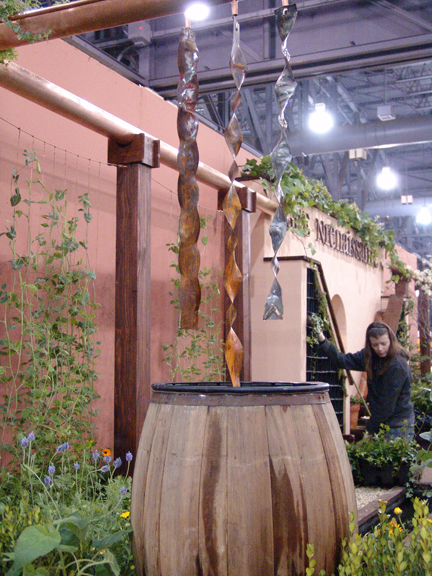 I especially loved how they used a rain chain to decoratively drip water in a rain barrel. The Scott Arboretum will be installing their first rain barrel in the Terry Shane Teaching Garden this spring. To learn more about this great gardening tool register for our workshop “Save the Rain! 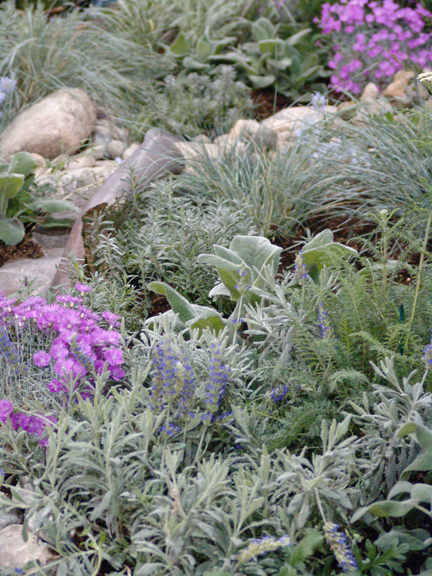 Water Conservation in the Garden” on Friday, March 27 from 9 am to Noon. Congratulations to the students of Temple University Ambler College on their award winning design. 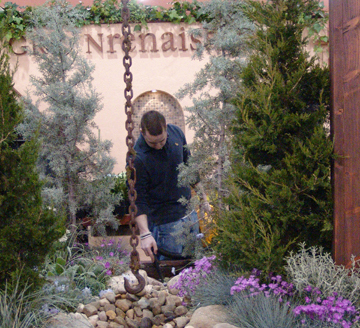 Visit the Philadelphia Flower Show to experience all the sustainable garden techniques demonstrated this year. This display is awesome and inspirational! Wish I could have been there in person. I miss volunteering at the show and the behind-the-scenes work. Looks like a great show and I like the rain chains. Thanks for this article, it shows even better more attractive ways to green up ones garden.